The first full moon of the year in Cancer offers us an opportunity to create a strong foundation for the direction we wish to move in during 2017. The new and full moon have long been recognised and celebrated as auspicious times of the month in Yogic, Buddhist, farming and gardening traditions. Every full moon is different and speaks a unique language to each one of us, yet we can all harness the energy of the full moon by engaging in meditative practice. When the full moon blossoms: emotions, desires and intense feelings rise to the surface to be acknowledged and understood. It is at these times that a neutral, meditative mind is essential in helping to navigate through internal conflicts and tensions, highlighted by the gravitational energy of the moon. When we carve out a time to meditate and relax during the new and full moons, we are able to transform ‘emotion into devotion’, by calling upon our higher self for direction and clarity. We are also aligning ourselves more with nature by quietly revering the rhythmical lunar cycle. During the full moon Gong meditation and Yoga Nidra workshops, a seated meditation is practiced which includes stretching and movement, mudra, pranayama and mantra. This is to help release muscular and postural tensions in the physical body as well as releasing mental and emotional tensions. This enhances receptivity during the Yoga Nidra and gong relaxation, and therefore more benefits can be reaped. The various stages of Yoga Nidra continue to release physical, mental and emotional tensions. The koshas (layers or sheaths of existence) are experienced, awakened and strengthened during Yoga Nidra and the Gong relaxation. This means that there is a gradual withdrawal of senses, as consciousness moves from the grossest level to a more subtle level. In this receptive state, we are able to touch the subconscious mind and ultimately initiate change and transformation in the most profound ways. When the mind is calm and relaxed, it becomes responsive and directive to our own suggestions, this is why a (personal) Sankalpa – a positive affirmation – is repeated at the beginning and at the end of the practice with complete faith and reverence. Just as seeds absorb more water at the time of the full moon, so our Sankalpa absorbs more nourishment for growth and manifestation during this time. It is only when we are truly relaxed that our Sankalpa has the capacity to influence the mind. During the end stages of the Yoga Nidra practice the Gong is played, this is where the anandamaya kosha (the bliss body) can be experienced, a total merging and a cessation of the fluctuation of the mind. There is an integration of the hemispheres of the brain, which means the brain can more readily absorb the desired change. The Gong continues to elicit a similar state in the practitioner as Yoga Nidra. Creating a state where the student is neither asleep nor awake, where the brain waves are bordering and moving between alpha and theta so that awareness remains. While the other senses are drawn inwards and quietened, the auditory sense remains intact during both Yoga Nidra and Gong, providing deep relaxation as well as cultivating higher perception, increased memory function and amplified intuition. It seems in the Piscean age, secrecy, hidden truths, and a lack of responsibility were prominent, but now as we move into the Aquarian age humankind can no longer hide behind the secrets, can no longer blame others, governments, politicians, world leaders, organizations and institutions for the problems in the world. So a challenge of the transition we face is to accept that we must be the change we want to see in the world, we must elevate ourselves, be responsible for the thoughts, words, and actions we do and put out into the world. Kundalini Yoga provides us with tools that make an individual understand their true potential, elevate oneself, increase awareness, will power, responsibility, self-esteem and personal power. At the same time it increases the awareness of living from ‘me’ to ‘we’, therefore establishing more of community, global and collective attitude and behavious, rather than a very individualistic approach that was more characteristic of the Piscean age. The Aquarian age brings challenges of stress related disorders, depression, fatigue and anxiety, due to more complexity and velocity of life. There is too much choice, too much information, too much pressure from a young age to ‘succeed’, to gain more, do more, and be more! A technology like Kundalini Yoga can help to cultivate a sense of wisdom, intuition and discernment to be able to cope with the pressures of this new age and of the shift to the Aquarian age. The transition is highlighting that God is within is not outside, nor in some identity, religion, statue, or ideal. God resides in every cell in our body, the infinite part of god is within us, and it’s like we are trying to reveal this or know this through the practice of Kundalini.Yoga means to yoke, to bind, or to unite. Yoga is the union between the human and the divine, the finite and the infinite, the individual consciousness and the supreme consciousness. The purpose of yoga is to rekindle this union between God and man and to explore the potential as a human being. Kundalini yoga is described as a technology. A technology of awareness; awareness of our capacity to reach our potential, to awaken the dormant energy so that we can experience our true selves, our infinite potential. It asks us to question who we are truly and what is our identity and origin? It is the technology and a science of human consciousness, and an experiential science. Kundalini energy, or creative potential, resides in the base chakra, muladhara at the base of the spine. Kundal means “the curl of the hair of the beloved”, and it is this energy at the base of the spine that is being raised through the various kriyas, mudras, pranayama’s, meditations and discipline. Kundalini yoga has Kriyas in, which are a set of exercises or actions, which are in a particular order of which the timing, order and proportion creates a specific effect. The kriyas include asana, pranayama’s, mantra, meditation, concentration and pratyahara (withdrawal of senses) which make it a complete practice. Other style of yoga’s for instance hatha yoga, use held individual postures which are explored in some depth, but not necessarily in a specific order, and not always done with mantra etc., these are separate practices. Guru Nanak’s son initiated Guru Ram Dass’s subtle and radiant bodies to be bowed to and to continue the lineage of Raj yoga. The Golden link or chain refers to the lineage of teachers that go back to the early Raj yogis, and which was passed to Guru Ram Dass, Yogi Bhajan’s personal teacher. The Golden chain is subtle yet profoundly powerful, as it transcends space and time; the energy of the consciousness and their subtle bodies of these earliest teachers connects to each student who tunes in to this lineage. This tuning in happens at the start of class or practice by chanting the Adi Mantra at least three times ‘ong namo guru dev namo’. By chanting this mantra, we are giving our ego the opportunity to step down, allowing the truth of the teachings – that are beyond the little ‘me’, to transmit to the students. It is like the teacher is the vehicle or messenger and the teachings are channeled to students. At the same time the teacher by chanting the Adi Mantra is connecting to their inner teacher, inner wisdom as well as the lineage of teachings, which both are the same, both are infinite. A mantra is energy in the form of sound, syllable, word, or group of words and that through repetition this energy can create profound changes physically, mentally, emotionally and energetically. ‘Man’ is derived from the word for mind and tra means ‘heat of life’ and to ‘free from’. The word mantra means ‘to free from the mind’, to direct, cut through, control or elevate the mind. Mantras have specific effects on the nervous system, the endocrine system and the chemistry of the brain. The vibration of specific sounds draws to you what you are vibrating. It’s about raising your vibration literally. In Kundalini yoga, mantra can be understood through the Science of Naad: how sound vibrations affect the body, mind and spirit as a result of the effect of the movement of the tongue on the upper palate and the mouth, and how this stimulates the hypothalamus in the brain, creating change on the mind-body structures. The hypothalamus is a part of the brain responsible for receiving signals form the cortex, cells of the body and the sense, and then sending information via neurotransmitters to the body, controlling metabolism, attention and action. The hypothalamus also regulates hunger, thirst, body temperature and sleep. When stimulated the hypothalamus can help to hold attention, one-pointedness, but the state of it depends upon the breath. The hypothalamus then affects the hormones released by pituitary gland and pineal gland. ‘The ‘Shabd’ is the sound current or vibration that dissolves that part of the ego which obstructs the truth, and prevents us from perceiving and acting from our authentic Self’. The ‘Shabd Guru’ is sound as a teacher, and can change our consciousness through Naad or mantra by removing the obstructions of the ego and help us merge with the infinite. The rhythm, quality and depth of breath of a particular Shabd is interpreted by the hypothalamus, which release neurotransmitters to the pituitary and pineal glands, regulates immune function, quality of our emotions and flexibility of our actions. The use of breath and sound of the Shabd during mantra, directly affects the parasympathetic and sympathetic nervous system, and the endocrine system, which produces hormones that affect our feelings, moods and immune system. This will in turn inspire the students. If the teacher is distracted, unable to communicate clearly from the teachings, then who will support and help elevate the students. Even though Sadhana can be practiced alone or in a group, to practice Sadhana in a group, the effect of all our efforts is multiplied and creates group consciousness, where we are working towards helping each other. However, when chanting alone during Sadhana, Yoga Bhajan said imagine a million other people around you chanting too, feel and imagine their energy, and this can help create a feeling of one-ness and group strength. Yoga is a 5000 year old system that works on developing and integrating the relationship between the breath, the body and the mind. There are many mental and physical practices and disciplines that make up Yoga, including physical postures, breathing, diet, concentration, relaxation, meditation, as well as lifestyle choices, ethics and morality. The practice may be tailored to the specific requirements of the individual, and therefore should be accessible to everyone and anyone, from complete beginners, to more advanced practitioners and from children to elderly students, and from healthy students to those recovering from disease or injury. In Yoga philosophy it is perceived as the union between the human and the divine, the finite and the infinite, the individual consciousness and the supreme consciousness. The actual word Yoga means to yoke, to bind, to unite or to join together. The feelings of togetherness, connectedness and completeness that may be invoked from close friendships or intimate love or a deep feeling of being at peace with the world have been experienced by all at one time or another and in some form or another. These qualities help to communicate what is meant by ‘union’. Yogi Bhajan helps us further understand this word ‘union’ by describing it as a relationship – a relationship with ourselves. Through the practice of Yoga there is a possibility to truly know ourselves and to explore the potential of being fully human and fully alive. Yoga is about developing awareness, the body begins to be truly aware of itself through the practice of Yoga. Yoga is about cultivating equanimity; being at peace, or aware that there is no peace, with the circumstances one is in, whether they are pleasant or unpleasant conditions. Yoga is also about increasing concentration, where the mind lingers less on the past or the future, but remains steady on the present moment. The more the mind becomes focused on the Yoga posture and the breath on the Yoga mat, the more the mind can remain focused and in the moment off the mat. This meditative quality that Yoga guarantees distinguishes it from other forms of exercise. Both Yoga and Pilates, for example, focus on developing similar qualities: strength and flexibility, strength in the core, strength in the whole body, increased body and breathe awareness. However, Pilates does not focus as much on synchronizing the breath with the movement, and does not view it as a meditative tool in developing one pointedness. This important distinction is what makes Yoga more than just physical exercise. The awareness of the breath in Yoga makes it a meditative tool. Why is the breath so important in Yoga? The breath offers a steady rhythm for movement, and the synchronization of the breath with the movement supports the physical structure. This is experienced when, for instance, the arms are raised or the body expands in some way. There is more space for the breath to enter, so an inhalation supports these movements. When the arms lower, the body is compressed or closed and the breath is pushed out so the exhalation supports these kind of movements. Furthermore, focusing on directing the breath into certain parts of the body, aids in opening, lengthening and softening muscles and encourages long, deep, smooth and easeful breaths. Long deep breathing also stimulates the parasympathetic nervous system, which is responsible for initiating relaxation and reducing stress levels. Finally there are also certain breathing exercises that can help purify the lungs and the blood, and correct breathing massages internal organs and increases lung capacity. Focusing on the breath in Yoga allows the mind to remain one pointed, and develops concentration, focus, clarity and equanimity. The mind becomes quiet, still and attentive, as it comes back to the breath repeatedly. The breath should initiate any movement, and replace the thinking mind so that the breath merges with the pose. The more one becomes aware of breathing patterns adopted in certain situations (during Yoga or in everyday life situations), the more it is realized that these patterns reflect emotions and thoughts. It becomes clearer that the breath is a barometer of the emotions, therefore by modifying the breath in breathing exercises, there can be more resilience in dealing with strong emotions. By being aware of the breath during the pose, an inner listening is cultivated, which can permeate into every moment of the day, so that right, intelligent and intuitive action can be taken. Yoga is a wonderful holistic practice that takes into account the whole body, mind and spirit, and can be an excellent way to lose weight, tone up and burn calories. Through a regular practice of Yoga, the deeper rooted psychological factors of weight gain, overeating, or lack of exercise may be addressed, and therefore weight that is lost stays off. There are certain styles such as Vinyasa and Ashtanga that are very high powered which may appear to lead to more weight loss in the short term, but all forms of Yoga can create a more toned, supple and slimmer body. More importantly Yoga creates a deepening of awareness, that always feels what the body needs and what it does not, so that the body naturally knows when to eat and when to stop eating, when to sleep and when to get up, when to do exercise and when to rest! The cumulative effect of a regular Yoga practice is the deepening relationship with oneself, of being aware of one’s habits and emotional patterns, so that they no longer have control over the mind and body. Running and Yoga may seem to be at opposite ends of the exercise scale, yet they offer a beautiful union of dynamism and restoration, strength and flexibility and stability and poise. If both are done mindfully and in a balanced way, the masculine energy that running can embody, and the feminine energy that Yoga calls for create a complete fitness program. The shortening, tightening and hardening of the muscles, tendons and ligaments as a result of running is complemented by the lengthening, elongating and softening of a regular Yoga practice. As running is a repetitive exercise, it puts pressure on specific joints and muscles time and time again, creating tightness and rigidity. Therefore, stretching before and after running are essential in counteracting this. However just ‘stretching’ is very different to Yoga. What distinguishes Yoga from many other exercises or simply stretching is what is at the heart of Yoga: the Breath. Focusing on directing the breath into certain parts of the body whilst holding postures or moving between postures (or stretches), aids in opening, lengthening, and softening the muscles. Breathing exercises in Yoga also improve the bodies’ aerobic capacity and endurance. Long deep breathing stimulates the parasympathetic nervous system, which helps to reduce the tension accumulated from running long distances and when there is greater flexibility and alignment in the body there will be less chance of developing injuries. Moreover, when pain or injury occur for a runner, it is often a result of joints and muscles compensating for imbalances in the body due to tightness and tension. Knees, hips, ankles, feet and lower back can cause pain and injury. Yoga works on creating balance, alignment and symmetry in the whole body and reducing tension throughout. The focus on alignment and the stability created in Yoga reduces stiffness, assists the body in working efficiently and decreases the possibility of injury. However, it is how you do Yoga that either supports a running regime or adds as a further hindrance to the body. The style of yoga must be considered, for instance a full powered Vinyasa or Ashtanga class, which may be aerobic in quality, and therefore strenuous, after a long training session may not be the most appropriate practice. These intense practices will of course stretch and elongate the muscles, but the muscles may be in need of deep relaxation and stillness. A more restorative yoga practice such as Yin Yoga, Restorative, meditation or Yoga Nidra (guided relaxation) would therefore be more nourishing and healing for the body and spirit, as well as reducing the recovery time after long endurance workouts. Similarly, the practice of Yoga can be encased with feelings of striving, pushing too hard and competitiveness, contradicting the very essence of Yoga, as well as perpetuating the tightness created from running long distances. The breath acts as a barometer for the emotional body. During a Yoga practice the breath can become shallow and laboured, and this may be a sign that there is too much effort or strain, whereas when the body is relaxed and in tune with its limitations, the breath will reflect this by being long and deep. Moreover the length and level of intensity of both Yoga and running practices will change from day to day depending on energy levels. Practicing yoga creates spaciousness and flexibility in the body and mind, creating more equanimity and awareness. This helps to make intuitive decisions on which practice to undertake and for how long. Sometimes the body is able to undertake a full powered workout, other times gentle breathing in a restorative position using props reflects truthfully the energy levels of that specific day or hour. With a consistent Yoga practice, body intuition is cultivated which proves to be invaluable when working with pain and injuries and knowing when to stop – or at least slow down! This ‘intuition’ ultimately flows into every aspect of one’s life, not only exercise. Sometimes the release of endorphins from running can mask pain and the onset of injury. Intuition that is gleaned from a consistent Yoga practice makes it harder to ignore these illusionary signals. The following postures are ideal when practiced as part of a sequence, but can be practiced as individual stretches before and after running. Focus on long, full and even breaths whilst holding each posture for anything from 10 breaths to 2-3 minutes. Downward facing dog is a wonderful thorough stretch for the hamstrings, calves, ankles, spine and shoulders. In this posture, a deeper stretch in the hamstrings is created by drawing the heels towards the floors. This posture should be a staple in any runner’s Yoga practice. Lunge pose/Warrior 1 & 2 work on strengthening and stretching the front and back of the legs as well as the hip flexors, which tighten due to running. Bridge pose works on opening the front body, chest and shoulders, which can tend to hunch from running, driving, sitting at a desk etc. continually. Modifed Pigeon pose stretches the hips and glutes without putting pressure on the knee joint. Cobbler pose can be done reclining onto bolsters for a restorative hip opener, with support under the knees. Relaxation pose (corpse pose) must be considered the most important posture of all! This can be incorporated into a running regime too. After a rigorous Yoga practice or a running session (once cooled down and stretched), the body needs to assimilate and integrate the effects of the movement. Just simply lie on the back, with the palms facing up and the arms and legs comfortably splayed, eyes closed, with perhaps a bolster under the knees (to release the lower back), stay here for five to ten minutes. The body begins to enter into silence and stillness. The quietness counterbalances the dynamic movement and encourages the body to heal and relax. It also crafts a feeling of grounded-ness and centred-ness, so the heart is better able to respond to the turbulences that life inevitably promises. Alongside the importance of having the right running equipment and technique, Yoga can also greatly enhance the longevity of a runner, and greatly reduce the risk of injury as well as improving general health and well-being. Listening to the uniqueness of the body that changes from person to person, and from day to day and tailoring a practice or regime that supports these natural ebbs and flows are crucial in maintaining a vibrant body, mind and spirit. Yoga is still misperceived by many as a physical activity that involves being a female-religious-contortionist-lycra-garbed vegetarian! True for some, but there are other ways to practice Yoga, and you can be any age, any ability and any faith to begin – from birth to as long as you are breathing Yoga is accessible to all. Yoga means to harmonise the mind, body and emotions, and whether you can touch your toes or not Yoga can be tailored to the needs of all ages, all abilities and all body shapes. For many women Yoga is never considered until they find out they are expecting a baby, then as stress and anxiety levels increase they are motivated to seek out methods that can help lessen these intense emotions. Whether they are completely new to Yoga or an experienced ‘Yogini’, Yoga during pregnancy can generate a sense of well-being and deep relaxation, as well as keeping the body supple and increasing energy. Through gentle movements (tailored for all stages of pregnancy), breathing techniques, sound work, visualisations, deep relaxation and restorative positions, pregnancy yoga can help support the journey of pregnancy to motherhood, as well as the valuable and nourishing opportunity to really connect and share with other women. Stress and anxiety during pregnancy has been associated with various behavioural and developmental problems and even premature birth as well as post natal depression. In a recent study from Manchester University, printed in the Journal Depression and Anxiety, women who practised yoga once a week over 8 weeks, had considerably lower scores of anxiety compared to women who attended normal antenatal classes. If Yoga can help reduce anxiety during pregnancy then it may help to prevent the development of post natal depression too. Other studies have shown how Yoga during pregnancy can help reduce pain during labour and birth complications. Just the simple deep breathing that is taught in Yoga, can calm the baby and the mother. Continuing Yoga after birth, will help to strengthen and re-align the stomach and back again, create calmness and equanimity and can be incorporated into a daily practice with the baby. It is always recommended to seek out a post-natal teacher though if you are not experienced or a teacher. There are many ways to initiate and continue a yoga practice once the baby is born through Baby Yoga. This tactile, loving and interactive practice includes elements of massage, stretching movements and postures that involve the senses creating a bond that is not reliant on verbal communication but rather kinesthetic communication. There are different exercises for babies from birth to eight weeks, from eight weeks to four months, and from four to eight months. Most Yoga studios now offer Mommy & Me, or Parent & Child (the father can get involved too) Yoga classes which are suitable for all ages. The most important aspect of Baby Yoga is touch; massaging, stroking and movement. Evidence has shown that physical contact is essential for development. The physiological body systems such as the nervous, endocrine, digestive and respiratory and general over-all health and well-being are enhanced with touch. Furthermore, if Yoga was taught during pregnancy, the practices will feel familiar to the baby thus prompting deeper levels of relaxation and promoting the ability to deal with future challenges and stress. The parents also benefit from the relaxation that Yoga offers: crafting coping tools and a greater sense of confidence and trust in their parenting skills. Parents also learn the art of surrender; being there completely for their babies (and themselves) and accepting the present moment however challenging it may be. As the baby gets older and develops into a toddler, they are able to do more postures by themselves. The parent and child yoga will continue to promote bonding and vital verbal and non-nonverbal communication. Yoga for toddlers has shown to help increase flexibility, motor skills, ability to relax, self-esteem and listening skills, as well as improving sleep disturbances, digestion and elimination, and mood swings or ‘tantrums’. The stress-relieving skills taught in Yoga even at an early age, can imprint on the child’s psychological development to carry them through into adulthood, promoting concentration skills and ability to remain focused and aware. Fun, musical, repetitive, counting and coordinating games and postures are used in toddler yoga classes. Many of the balancing and standing postures are modified and are held for shorter lengths of times, and animal noises and different sounds are used to inspire and keep the children interested. Relaxation is often guided and short, and simple deep breathing techniques can be taught e.g. a great way to encourage belly or abdominal breathing is for the child and parent to lie down, and place an eye pillow or even their favourite toy on their belly, and let them notice how it moves up on the inhale and down on the exhale, or the child can lay its head on their parent’s tummy and feel it expand and contract with each breath. As the parent relaxes often the child follows, enabling them to connect and communicate through without words and allowing willingness, truthfulness and openness to blossom. By the time children reach school, there are pressures and stresses, competitiveness and test scores to be concerned about. Teachers and parents are beginning to understand the need for more stress-reducing and calming techniques as either part of the curriculum or as extra-curriculum activities. Yoga’s ability to help increase concentration and remain focused on one thing – a problem for both adults and children – is also an objective for introducing more Yoga in schools. A program that has been launched in UK schools and the US, draws on the principles of mindfulness and movement: breath awareness, attentive listening, movement and contemplation and awareness. This Mindfulness-based Stress Reduction (MBSR) program has shown to reduce anxiety, decrease anti-social behaviour between the children, and improve test scores. Another recent study from the California State University showed that children who practiced yoga also displayed higher self-esteem, higher levels of academic performance – better grades, and higher attendance. In a Taiwanese study, improved body mass index (BMI), flexibility, muscular endurance and cardiopulmonary fitness was found in students in practiced yoga on a weekly basis. There is a massive body of evidence to suggest techniques taught in Yoga help to improve concentration and ultimately learning as well as improve health and well-being. There are simple and effective ways to do this, for instance when children are doing balancing postures they are asked to focus on one point, this not only helps them to stay balanced but their mind becomes one-pointed, even if it is for a few moments. This has an accumulative effect, and when practiced often, the child’s concentration increases. Similarly asking children to become aware of their bodies, their posture and their breath instils positive habits of present and aware. Research on Yoga Education (RYE) approach which was first established in France in 1978, integrates yogic philosophical principles into short simple techniques that are taught during the lesson times at regular intervals throughout the school day; all have shown to improve learning, attentiveness and creativity considerably. The teacher also benefits from the stress reducing effects of Yoga, which in turn helps the children to remain more relaxed. The subtler power of Yoga speaks louder than instructions and commands, creating more mutual respect between the teacher and child. Finally, the relaxation techniques that are taught during Yoga, such as body awareness, visualisations, and sound meditations can help children to let go of worries, fears and concerns e.g. breathing in joy, breathing out sadness, breathing in peace, breathing out badness. Or using mantra’s whilst holding a posture; “I am strong” in Warrior Pose, “I am balanced” in Tree Pose or “I love and accept myself as I am” in Cobra Pose. Other qualities such as kindness, compassion and gratitude can be weaved into the relaxation. By visualising themselves and others as happy and smiling, children can cultivate feelings of goodwill or kindness towards themselves, and then to their friends and families, then to someone they do not like, and then to everyone in the whole world. All these simple yet powerful techniques are excellent for Yoga in primary and secondary schools and beyond. Helen Garabedian, founder of Itsy Bitsy Yoga sums it up pretty well “A Fit Baby = A Fit Toddler = A Fit Pre-schooler = A Fit School-Aged Child = A Fit Teen = A Fit Adult”. Yoga has developed and evolved over thousands of years to help support a healthy, happy and spiritually aware inner and outer life. All forms of Yoga work on the stimulation and regulations of the energy within the human body. When Yoga was first systemized centuries ago, it included all aspects of the practice, from philosophy to morality, and from meditation to mantra. These elements are still part of the practice, and yet now with all of the new and vibrant varieties of styles available, the focus can be significantly on the physical postures. Many popular Yoga forms are based on the physical practice of the asana: postures or body positions. The wonderful thing about having so many choices is that there is something for everyone, and people may tend to radiate towards the style of Yoga that complement their temperament or personality. As a complete beginner definitions of each type of Yoga can help in making the first class not so daunting, and it is always a good to know roughly what you are getting yourself into! Ashtanga Yoga is a very dynamic, purifying and powerful practice. It uses a progressive series of postures getting increasingly more challenging. The importance on synchronizing the breath with the movements is emphasised. The practice can be very demanding, creating a great heat in the body and causing a purification of the body through sweating. If a high energy Yoga is required then this would be suitable, especially for those who sit at desks all day – this can be quite a work out! Yet if the body is recovering from injury, or seeks a slower more relaxing practice this might not be the right style of Yoga. Ashtanga Yoga develops strength and stamina, focus and concentration and elasticity in the body. This form of Yoga uses the same postures as Ashtanga Yoga, yet they are done with more attention on the alignment and the postures are held for much longer. The use of props, such as bolsters, belts, blocks and chairs are used to obtain the correct alignment, and to assist those with injuries. This very precise practice offers many benefits for the practitioner. Firstly, there is less chance of injury due to the props supporting the body; the practice is tailored to meet the needs of each individual, rather than the individual fitting into the practice. The practice suits beginners and all levels. Greater respect and understanding of the physical body are developed, and qualities of patience and precision are cultivated. This form of Yoga is taught in a heated room, which help the release of toxins in the body. There are 26 postures in the sequence, which all work on strengthening and toning the body. All forms of Yoga are essentially Hatha Yoga, and they have all developed out of this physical asana practice. Hatha Yoga involves holding the postures for certain amount of time with the breath. It can be just as physically demanding as Ashtanga, if not more, as the postures are held for longer. Good balance between strength and flexibility is established in this style of Yoga. In this style of Yoga, a set of exercises known as a Kriya is practiced, which includes movement (asana), mantra (chanting), breathing and meditation. It can be a very powerful practice, emotionally, energetically and spiritually, and works on waking the energy up that lives in the spine. This practice increases flexibility in spine, lung capacity and strength in the core. Passive seated or lying postures are held for up to ten minutes, with an emphasis on releasing and letting go. This style works on stimulating various energy points in the meridian system, and thereby helping to release energetic blocks, a little like an acupuncture treatment – without the needles! This is a very slow and quiet practice, and is therefore good training for meditation, and it can be very beneficial and complementary to a strong dynamic yoga practice or fitness regime. This style of Yoga has evolved from Iyengar Yoga, but it focuses on deep relaxation and healing, and therefore postures are held for long periods of time, from five to thirty minutes. Props are used to maintain maximum comfort and release, and gentle breathing exercises are introduced during and between postures. Restorative Yoga can be beneficial to those recovering from injury, pregnant women, stress-related disorders or anyone wishing to slow down. Every style of Yoga can be deeply beneficial if practiced mindfully, patiently and respectfully. As well as an increase in efficiency in respiration, cardiovascular, gastrointestinal, and endocrine systems, endurance, energy and immunity functions, concentration, memory and attention improve, and an overall sense of wellbeing and self-acceptance increase. Therefore from gymnasts and athletes’ to injured students and grandparents, Yoga is for anyone and everyone. A common excuse to not attend a class is the perceived lack of flexibility, yet this quality is what is improved, and is not what is required! The flexibility of other students can be discouraging for those who are less flexible, and especially for beginners. It is the teacher’s duty to encourage each student to listen to their unique body, and to remind students to not make comparisons to others. Furthermore, our energy, health and vitality fluctuate throughout our lives, and the type of Yoga we choose to practice should reflect this. It may be appropriate to practice a very vigorous practice for many years, then due to injury or pregnancy this has to be exchanged for a gentler practice. 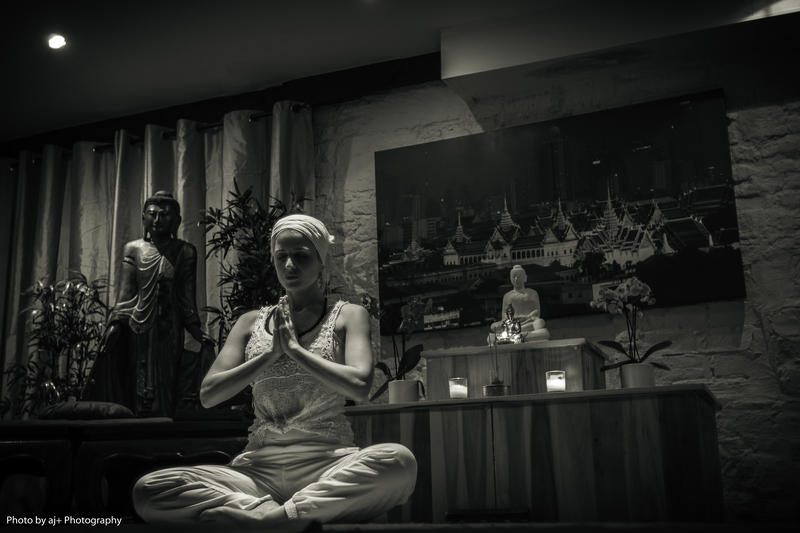 The fluctuations can also change day to day; an energizing Vinyasa practice in the morning supports the body, whilst a soothing evening Yin practice calms the mind from the day’s business. Although the pace and style may adapt and change, what all great Yoga masters have expressed is the importance of the continuity of practice – whatever is happening off the mat! A three hour Yoga practice once a week, will be beneficial, but a consistent daily practice, even if it is only twenty minutes a day will give you more benefits. Through a diligent practice of Yoga and just simply experiencing it, a gentle discernment on which style of Yoga that is most suited will immerge.